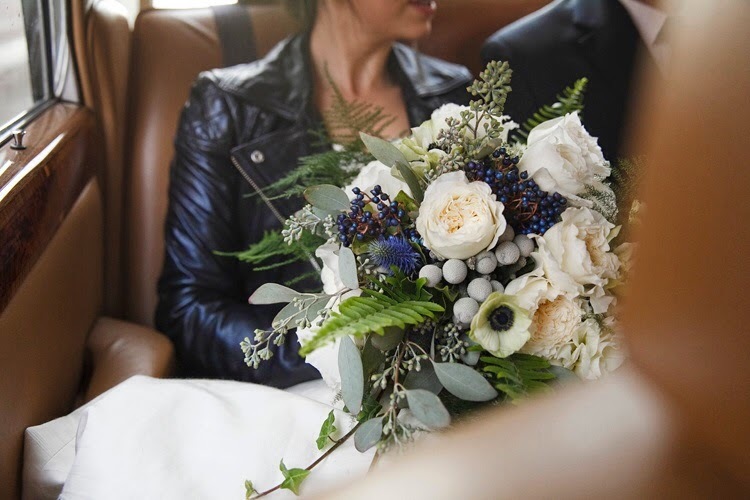 Do you remember (or have you thought about) your wedding bouquet? I had never really thought about what I'd want but it actually seems like a pretty important accessory. I chose mine the other day (similar to the one in the top photo only a little smaller) and ordered it from Crown Flora Studio. I love how unusual it looks. . 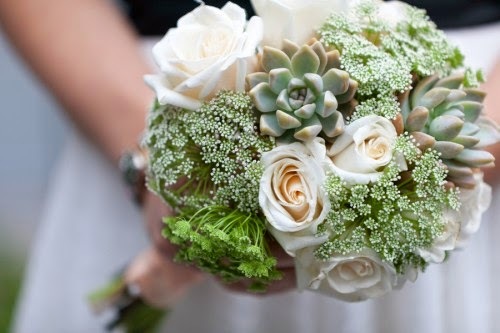 I also think succulent bouquets are chic and fun. I love the one below from Offbeat Bride. Something like this would probably be my second choice.